Green Star Products, Inc. (GSPI) is an environmentally friendly public company involved in the production of renewable clean burning fuels such as biodiesel and cellulosic ethanol and other products including super-lubricants that are designed to reduce emissions and improve fuel economy in vehicles, machinery and power plants. The company is one of the early pioneers who began researching alternative energy resources in the 1990s. Following an extensive Research & Development program, GSPI has advanced a variety of proprietary technologies now in revenue-producing commercialization. The company is 100% vertically integrated to design and manufacture its own biofuels processing equipment at its own facility. The company also provides operational and training support for its processing facilities. For more information see Products & Services section on this website. The Italian Gun Grease (IGG) “Family” is packing up and heading out to the National NRA Show in St Louis, MO, located at 701 Convention Plaza. The dates are this coming Friday April 13 and will run through Sunday April 15. If you are going to the show, stop by booth 737 (Uselton Arms) to meet up and learn about these amazing products. The weapons cleaners, optics cleaner, long term protectants, cleaning mats and kits are great, but the cornerstone products in this growing line are the Italian Gun Grease lubricants (Advanced, Black Powder, Tactical, True Grease and Reel Slick). These are specially adapted siblings of Green Stars’ famous TVT formulas that harness the unbelievable friction cutting technology used in engines, manufacturing and mining. SALT LAKE CITY, UT–(Marketwire – Jan 12, 2012) – Today, Mr. Joseph LaStella, President of Green Star Products, Inc. (PINKSHEETS: GSPI), announced the Company’s progress for 2011 and the outlook for the New Year. To this end, Green Star expanded its existing product line and engineering capabilities. GSPI formed relationships with high tech companies to represent their closely related green technologies in many foreign countries including China. In 2011, GSPI concentrated on providing new product testing and certifications in the USA and globally, building a stronger foundation for GSPI to move into global markets in 2012. SALT LAKE CITY, UT– (Marketwire – October 7, 2011) – Green Star Products, Inc. (PINKSHEETS: GSPI) announced today that they have successfully continued the expansion of their product lines in several different industries. 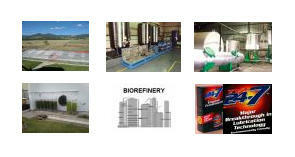 Green Star’s existing product line includes Italian Gun Grease (http://www.ecosolutionsgroup.com) sold by Eco Solutions Group, lubricants for highway vehicles and railroads, coating products sold by Innovasol Coatings, LLC (http://www.innovasol.com), special lubricant products sold as TVT Green (http://www.tvtgreen.com), and other products which have been developed through requests from diverse industries in the United States and other countries. SALT LAKE CITY, UT–(Marketwire – July 13, 2011) – Today Green Star Products, Inc. (US OTC PK: GSPI) announced that it has signed an agreement with Harrison & Horlick to launch a marketing campaign for the TVT Lubricant Product Line. 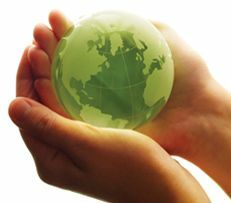 Harrison & Horlick has been a long term supporter of Green Star’s environmental business models, technology and products. Salt Lake City, UT (Market Wire) – June 9, 2011 – Green Star Products, Inc. (PINKSHEETS: GSPI) announced today that at its Special Shareholders Meeting held on June 4 in Salt Lake City, Green Star stockholders voted almost unanimously to cancel the planned reverse split of Green Star stock. The new Board of Directors that was elected on January 4, 2011, including the reelected nineteen year President of Green Star, Joseph LaStella, had previously announced that they would initiate a vote at a second Special Shareholders Meeting to cancel the reverse split voted in by stockholders on January 4, 2011. The reason for this change in strategy was directly related to the success of our new marketing program which includes a variety of new products and expansion into many foreign nations. Green Star has a variety of licensing agreements and distributor pacts with other green companies, and now through these new agreements has representatives on the ground in China, Korea, Mexico, Ukraine and a number of European Union locations. Several countries have initiated testing programs to evaluate the superiority of Green Star’s products. Salt Lake City, UT (Market Wire) – June 1, 2011 – Green Star Products, Inc. (PINKSHEETS: GSPI) today announced for the second time a Notice to its Shareholders that it has scheduled a Special Shareholders Meeting to cancel the planned reverse stock split of Green Star shares. On January 2, 2011, at a GSPI Special Shareholders Meeting, the stockholders voted to reverse split the shares of Green Star Products one for ten. Green Star Products is now scheduling a Special Shareholders Meeting to cancel the reverse stock split. The Board of Directors of Green Star believes its new business strategies have made great strides in recent months, even the last few weeks, toward increasing GSPI’s revenue. Therefore, a reverse split of GSPI stock is not warranted. The Special Shareholders Meeting is scheduled for June 4, 2011, at the Little America Hotel in Salt Lake City, Utah, at 10 AM. Only Shareholders of record on April 21, 2011 will be able to vote. GSPI Shareholders can receive more information by visiting a direct link at our Web site (http://www.greenstarusa.com/2011Meeting.html) where they can also vote by completing an online form. SALT LAKE CITY, UT, Apr 29, 2011 (MARKETWIRE) — Green Star Products, Inc. (pinksheets:GSPI) and Eco Solutions Group are continuing the successful product roll out of “Italian Gun Grease,” their amazing anti-friction weapons lubricant to multiple niche markets. The military (including snipers), law enforcement, hunting and shooting communities have shown great enthusiasm for a product that can improve performance and solve problems. What we have is truly the “Next Generation & New Standard” in gun lubrication (also for other markets, like engines, manufacturing, mining and drilling, etc.). The more people test it, the more exciting it gets. On April 29, Eco Solutions Group will be teaming up with Uselton Arms, Inc. (http://www.useltons.com) to showcase “Italian Gun Grease” (IGG) at the NRA Meeting at the David L. Lawrence Convention Center (1000 Fort Duquesne Blvd., Pittsburgh, Pennsylvania) (http://www.pittsburghcc.com/cc/). Uselton Arms is a custom pistol and rifle manufacturer in Franklin, Tennessee, that has been producing some of the finest custom firearms for over 10 years. Eco Solutions Group and Green Star Products have been working in conjunction with Uselton Arms to provide advanced lubrication on the Warrior Mountain Lite rifle and other custom firearms built by Uselton Arms. Salt Lake City, UT (Market Wire) – April 26, 2011 – Green Star Products, Inc. (PINKSHEETS: GSPI) today announced that its Board of Directors has scheduled a Special Shareholders Meeting to cancel the planned reverse stock split of Green Star shares. On January 2, 2011, at a GSPI Shareholders Meeting, the stockholders voted to reverse split the shares of Green Star Products one for ten. The new Board of Directors is now scheduling a Special Shareholders Meeting to cancel the reverse stock split. The Board believes that Green Star’s new business strategies have made great strides in recent months toward increasing GSPI’s revenue. Therefore, a reverse split of GSPI stock is not warranted. Salt Lake City, UT (Market Wire) – April 6, 2011 – Green Star Products, Inc. (PINKSHEETS: GSPI) new product line was debuted at the Safari Club International Fundraiser event on March 12, 2011. See press release titled “Green Star Products and Eco Solutions Debut ‘Italian Gun Grease'” (http://www.greenstarusa.com/news/11-03-16.html). Since the debut, the ‘Italian Gun Grease’ (IGG) product line has created major interest among sportsmen, hunting dealers, competitive firearms enthusiasts and military weapons experts. SALT LAKE CITY, UT — (Marketwire) — 03/16/11 — Green Star Products, Inc. (PINKSHEETS: GSPI) announced today that its newest creation, ‘Italian Gun Grease,’ which was developed out of their high-tech metal to metal lubricant product line, was very well received by experts in the sportsman rifle and competition pistol target markets. 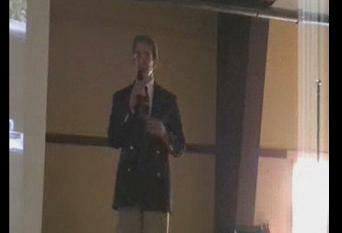 Italian Gun Grease was debuted at the Safari Club International 28th Annual Banquet and Fundraiser on Saturday, March 12, 2011, at the Cotillion in Palatine, Illinois. These men and women are pistol and rifle experts, who are always looking to improve their craft. Salt Lake City, UT (Market Wire) – March 3, 2011 – Green Star Products, Inc. (PINKSHEETS: GSPI) today announced that it has been working with a private equity group to develop a new product for the outdoor sportsman and firearms market. After seeing the phenomenal anti-friction results obtained from the TVT engine oil additive, the owners of EcoSolutions Group, Inc. had asked Green Star to develop an advanced lubrication for modern high tech rifles and precision competition pistols. Salt Lake City, UT (Market Wire) – February 14, 2011 – Green Star Products, Inc. (PINKSHEETS: GSPI) announced that it has signed a license agreement with Innovasol, LLC (http://www.innovasol.com) to distribute Green Star’s TVT Product Line. Innovasol will distribute Green Star’s TVT Product Line throughout the United States. The terms of the agreement include funding the expansion of Green Star’s production and blending facilities for the TVT Product Line. The enhanced production capacity will be a container load every three days (approximately 78 barrels, enough to service over 35,000 diesel semi-truck engines). SALT LAKE CITY, UT — (Marketwire) — 01/14/11 — Today Green Star Products, Inc. (PINKSHEETS: GSPI) announced the voting results of the 2011 Special Shareholders Meeting held on January 2, 2011, in Salt Lake City, Utah. For information on the meeting see press release “Green Star Announces 2011 Special Shareholders Meeting” (http://www.GreenStarUSA.com/news/10-12-13.html). SALT LAKE CITY, UT (MARKET WIRE) December 13, 2010 – Green Star Products, Inc., (OTCPK: GSPI), today announced that it will be holding a 2011 GSPI Special Shareholders Meeting on January 2, 2011, at 2:00 PM at the Little American Hotel in Salt Lake City (500 South Main Street, Salt Lake City, UT 84101, http://www.littleamerica.com, (800) 453-9450). We welcome all GSPI Shareholders to attend the 2011 GSPI Shareholders Meeting. Please email us at least one week in advance with the subject “Attending Meeting” to info@GreenStarUSA.com to assure we can accommodate all attending shareholders. Green Star also urges everyone to read the 2011 GSPI Shareholders Letter and a Personal Letter from the President available on Green Star’s Web site at http://www.GreenStarUSA.com/2011Meeting.html. Stockholders who cannot attend the meeting or, for any reason, do not get a copy of the Shareholders Letter they can still vote by filling out the voting proxy card available on our Web site (http://www.GreenStarUSA.com/2011Meeting.html) and submit it to GSPI by fax (619-789-4743), scan and email (info@GreenStarUSA.com) or mail to Green Star Products, Inc., 455 East 500 South, Suite 203, Salt Lake City, UT 84111. Shareholders can also take advantage of our ONLINE PROXY CARD FORM posted on our Web site (http://www.GreenStarUSA.com/2011Meeting.html) to instantly submit your vote without the use of paper. This is a very important meeting and everyone should vote on the crucial issues which will shape the future business strategy for GSPI. Salt Lake City, UT (Market Wire) – October 5, 2010 – Green Star Products, Inc. (PINKSHEETS: GSPI) has taken a significant step by registering its TVT 24-7 Engine Oil Energizer with the Environmental Protection Agency (EPA) on September 23, 2010. This registration provides authoritative validation for the formulation of the TVT 24-7 product. Clients can instantly have the confidence that TVT 24-7 has been studied, reviewed and registered with the EPA and meets all of the standards. SALT LAKE CITY, UTAH – (MARKET WIRE) September 23, 2010 – Today, Green Star Products, Inc., (US OTCPK: GSPI) announced it has signed a contract to build a biodiesel facility. This is the first of several contracts in conjunction with an ambitious Algae-to-Biodiesel project on the west coast. 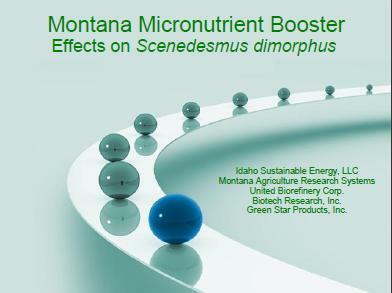 Please see press release dated August 19, 2010, for further information (http://www.greenstarusa.com/news/10-08-19.html). Salt Lake City, UT (Market Wire) – May 19, 2010 – Today Green Star Products, Inc. (US OTCPK: GSPI) announced that its consortium partner, Idaho Sustainable Energy, LLC (ISE), was selected by voters as one of the nation’s top biofuel companies in a two month alternative fuel project assessment instituted and covered by Biofuels Digest (http://www.biofuelsdigest.com). Green Star Products is the engineering and technology provider for Idaho Sustainable Energy. On Friday, May 14, 2010, Biofuels Digest published the results of the national competition. 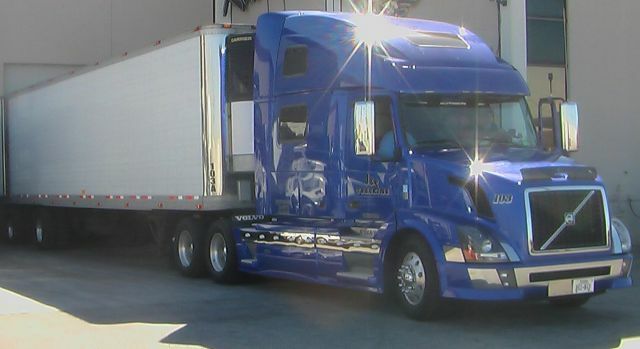 Salt Lake City, UT (Market Wire) – April 26, 2010 – Today Green Star Products, Inc. (US OTCPK: GSPI) announced that it has completed an efficiency road test on a diesel long haul truck. Test data included 249,564 baseline miles and 13,863 additive test miles on a Euro 4, 2009, 500 HP Volvo VNL780 Truck. Fuel efficiency increase was 10.03% from 6.18 mpg to 6.8 mpg. The test also included TVT Engine Oil Energizer oil additive at 5% and TVT Diesel Fuel Additive (DFE) at a ratio of 1,500 to 1 for a total cost of $60.38 for both additives (for the test period of 13,863 miles). Salt Lake City, UT (Market Wire) – March 26, 2010 – Today Green Star Products, Inc. (US OTCPK: GSPI) announced that it has received its second order this week for its TVT Diesel Fuel Energizer (DFE) additive for use in large industrial engines. Salt Lake City, UT (Market Wire) – March 24, 2010 –Today, Green Star Products, Inc. (US OTCPK: GSPI) announced that it has received its first order for TVT Diesel Fuel Energizer (DFE) for use in large industrial engines. The TVT Product Line could be a tremendous opportunity for the Shipping, Transportation and Electric Power Generation Industries to reduce their emissions and fuel consumption. By cutting down petroleum use, these industries could also reduce their carbon footprint (their CO2 Greenhouse Gas emissions). Salt Lake City, UT (Market Wire) – March 10, 2010 – Green Star Products, Inc. (US OTCPK: GSPI) and its Consortium today announced that it will be auctioning the United States licensing rights to a game changing proprietary algae growth biotechnology on September 9, 2010. 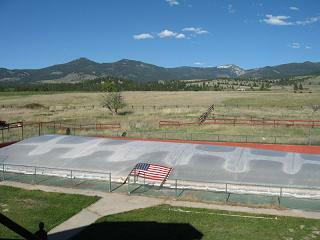 Presently, the algae industry is being kept from commercialization because of its inability to produce enough biomass. The technology to overcome this handicap is now available and will be licensed at an auction later this year. The auction will be held at 55 Broad Street New York City (Wall Street District). The auction will be coordinated and audited by a major financial organization (to be announced). The bidding will start at $5 million dollars and only 50 seats will be made available to pre-qualified bidders. The successful bidder will have access to algae growth technology which has been confirmed to increase algae growth by up to and exceeding 200% in six day growth cycles when compared to present industrial growth methods. Salt Lake City, UT (Market Wire) – February 5, 2010 – Green Star Products, Inc. (US OTC: GSPI.PK) recently started testing its TVT Product Line at the renowned Sadi-Carnot College in Saumur in Paris, France. Some of the prestigious Sadi-Carnot College former students are now among the most influential personalities in France. The reputable college is supported by automakers such as Peugeot and incorporates some of the finest dynamometer (“dyno”) test cell technology and emissions equipment available today. Athens, Greece & Los Angeles, California (Market Wire) – January 27, 2010 – Today Green Star Products, Inc. (US OTC: GSPI.PK) announced that it has received the final report on a fuel savings test conducted on a Greek shipping vessel. The tests were conducted using Green Star’s Diesel Fuel Energizer (DFE) added to fuel tanks. Tests were performed on two Caterpillar Ship Engines Model 3412 (rated at 720 H.P. each) and also on two Caterpillar Generator Sets Model 3306 (rated 240 H.P. each). The test data indicates the shipping vessel reduced fuel consumption by an average of twelve percent (12%). The engines also showed decreased smoke emissions to a point where smoke was no longer visible. Also noted was a reduction of engine noise and increased power and performance. For further information on the TVT Product Line please see website http://www.GreenStarTVT.com. Salt Lake City, UT (MARKET WIRE) December 29, 2009 – The President of Green Star Products, Inc. (PINKSHEETS: GSPI), Joseph LaStella, P.E. Ret., today issued his year end comments on current projects. Mr. LaStella stated, “This year has been very challenging for many small companies like Green Star. Although the Company is diversified in operations, and therefore can achieve commercial goals in several key markets, we have had limited success this year. “Green Star derives its income from a variety of sources, including: engineering consulting; fabrication and construction for joint venture projects; technology licensing and royalties; research and development projects; and, production and commercialization of green products. “The Company’s income spans several industries, including ethanol and biodiesel biofuel production; algae biomass production and its derivatives; advanced lubrication; and alternative transportation (electric and hybrid vehicles). Salt Lake City, UT (MARKET WIRE) October 26, 2009 – Green Star Products, Inc. (PINKSHEETS: GSPI) today announced that the Company is unveiling a new complete line of TVT Energy Saving Fuel and Lubrication Additive Products. GSPI believes that these products will be best sellers due to recent world events which have prompted companies to aggressively pursue environmentally friendly products that have superior performance, improve efficiency, reduce energy requirements, reduce global warming gases and may qualify for CO2 credits under new U.S. and international cap and trade programs. Salt Lake City, UT – (BUSINESS WIRE) March 11, 2009 – Green Star Products, Inc., (US OTC: GSPI) held its Special Stockholders Meeting on January 31, 2009 (see press release dated January 9, 2009). The meeting had the largest attendance in many years and special presentations were given by GSPI Consortium member companies. Details of the Stockholders Meeting are covered on Green Star’s website GreenStarUSA.com. The presentations outlined detail plans of the biorefinery projects and their plant construction. These plans include the production of cellulosic ethanol, chemical by-products from cellulosic ethanol plants, algae biomass production, algae biodiesel production and the many advantages of combining all of these technologies into one biorefinery complex. Green Star Products and its Consortium have taken a big step forward toward the realization of a Commercial Size Algae Farm and Integrated Biorefinery Complex in Missouri. GSPI’s announcement was further discussed by The Marshall Democrat-News (see article here) of Saline County. View the Big Sky Coalition 2008 Biofuels Symposium Video where Mr. LaStella discusses many interesting facts about our energy future needs. Also, be sure to read the GSPI Montana Algae HAPS Demonstration Report (available here) published since May 2008 and showing the feasability of the GSPI’s HAPS Algae Production System. This demostration unit holds 40,000 litres of algae culture, which constitutes one of the largest algae production testing system designs.